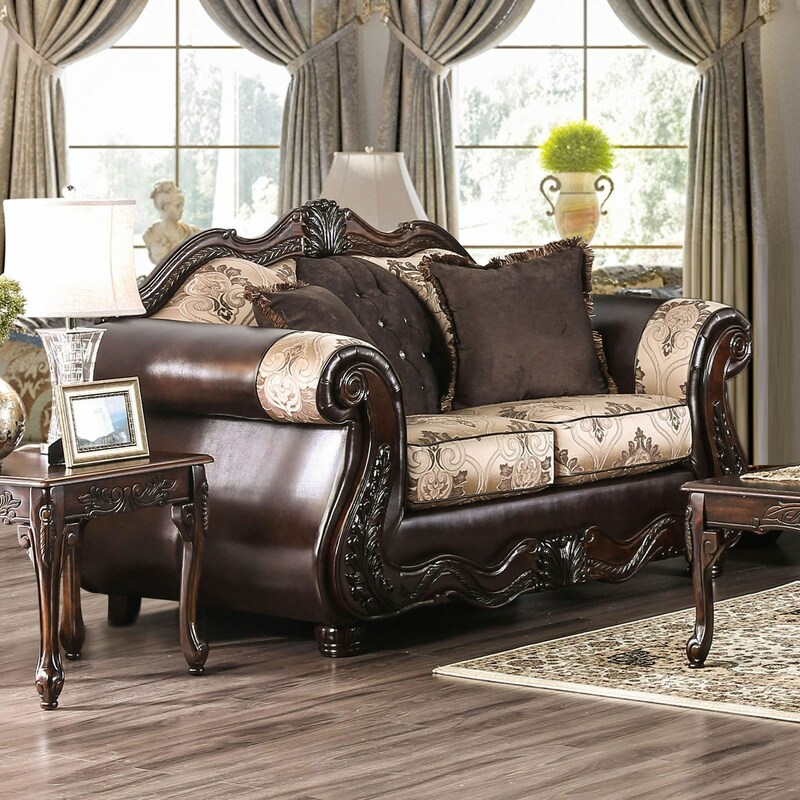 A stunning traditional design makes for a sofa collection that can handle being the spotlight of your living room. The two-toned design is flush with style; a floral patterned back is split by a single panel of soli d color that matches the side fabrics. Wooden trim details, round bun feet and carved motifs make for an elevated elegance that adds to the luxury of your room. The Talitha Traditional Love Seat by Furniture of America at Del Sol Furniture in the Phoenix, Glendale, Tempe, Scottsdale, Avondale, Peoria, Goodyear, Litchfield, Arizona area. Product availability may vary. Contact us for the most current availability on this product. Browse other items in the Talitha collection from Del Sol Furniture in the Phoenix, Glendale, Tempe, Scottsdale, Avondale, Peoria, Goodyear, Litchfield, Arizona area.